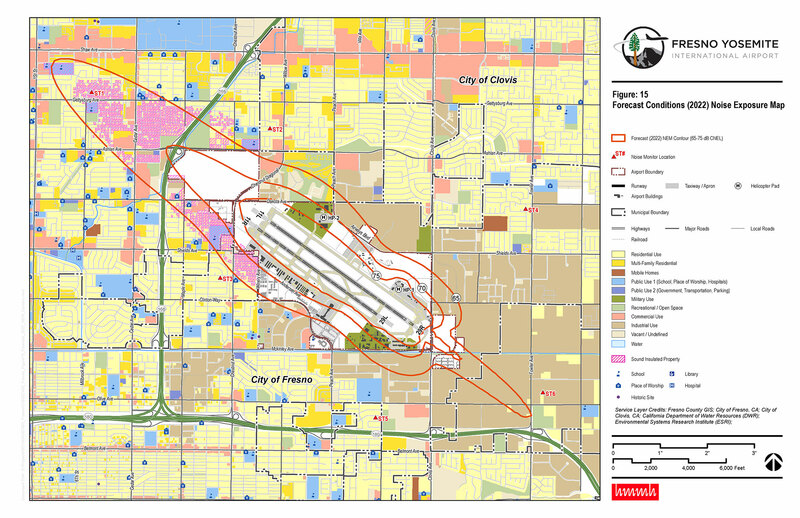 The City of Fresno recently tasked HMMH with updating its Noise Exposure Map (NEM) at Fresno Yosemite International Airport (FAT). New conditions included the realignment of the California Air National Guard (CANG) mission, which replaced single-engine F-16 fighter aircraft with two-engine F-15 fighter aircraft. As with the previous NEM Update in 2004, it will be important that the CANG aircraft profiles in the model match well with the CANG operations at FAT. During our data gathering task for the 2017 NEM update, HMMH determined that the CANG has added an additional altitude to the overhead pattern approach, which should reduce noise exposure from F-15 arrivals into FAT. HMMH measured aircraft and community noise levels at six sites around the airport over a nine-day period. The objectives of the measurement program were to measure cumulative noise exposure for comparison with noise contours, sample single-event noise levels at representative community locations, and address specific community concerns regarding noise.